You will find here all the information you need to better understand the issues surrounding assisted suicide and euthanasia in the Province of Quebec. Hanaé Désautels, one of Jocelyne Lizotte’s granddaughters, testified to the heartbreak of her family since the tragic death of her grandmother. She was accompanied by her father, David Désautels, son of Mrs. Lizotte, and her mother, Nancy Guénette, who also gave their testimony. The MPs will have to wait for the opening of the National Assembly consulations on the extension of euthanasia for people with Alzheimer or mental disability. Health Minister Danielle McCann is awaiting a report from the Expert Panel on the issue of incapacity and euthanasia before moving forward. A jury has found a Montreal man guilty of manslaughter in the killing of his ailing wife.Michel Cadotte was on trial for second-degree murder in the suffocation death of Jocelyne Lizotte, who was in the last stages of Alzheimer’s disease. Six Quebec professional orders are calling on the province to challenge the constitutionality of federal legislation on medical assistance in dying. The orders representing physicians, nurse, lawyers, pharmacists, notaries and social workers issued a statement Tuesday saying the status of the law urgently needs clarification. Premier François Legault says his government is open to giving those who are seriously ill, but not facing imminent death, access to medically assisted dying. Legault told reporters Thursday he made a campaign promise to look into the issue, and plans to honour that pledge — but warned it will take time. Quebec’s euthanasia law came into effect three years ago, in December 2015. Since then, 1,664 Québécois have been euthanised, according to a report tabled in the Quebec parliament. A total of 845 persons were euthanised in the 9 months from July 2017 to March 2018, compared to 638 for the 12 months from July 2016 to June 2017. The Quebec College of Physicians says information required by Health Canada could increase doctors’ burden and reveal patients’ identities. Véronique Hivon says she has sympathy for the family of a man who was initially denied medical aid in dying — but if her party is elected, the law will stand. CBC News first had the story of Bob Blackwood, an Eastern Townships man who was at first denied assisted suicide because one doctor said he was not close enough to a natural death. Coalition Avenir Québec says it will increase provincial funding into Alzheimer’s research by $5 million a year if elected, and host public consultations on advanced consent for medically assisted deaths for those suffering from Alzheimer’s and related diseases. The survey conducted by researchers at Université de Sherbrooke and institutions in Belgium and the Netherlands and published in the Canadian Journal of Public Health, was based on responses from 136 French-speaking physicians in Quebec involved in end-of-life decisions. Physicians favoured continuous deep sedation over euthanasia for relieving suffering if patients were in an advanced stage of cancer. For cases of advanced dementia, 45% of physicians supported euthanasia with a written request and 14% without one. At the terminal stage of dementia, these proportions increased to 71% and 43%. Health Minister Gaétan Barrette denied on Tuesday that some patients in the province are opting for medical assistance in dying because they don’t have access to palliative care.Statement comes after physicians claimed that financially-strapped health network is forcing some patients to accept assisted dying. The Montreal Palliative Care Institute – an institute dedicated to palliative care – is opened. The number of patients who requested assisted suicide jumped by 100% in Estrie. Transplant Quebec wants to offer organ donation to patients requesting euthanasia. The Commission on End-of-Life Care will call on all institutions in the health network to draw up an accurate report on access to palliative care in Quebec. The number of Quebecers who received assisted suicide has jumped by 65% between 2016 and 2017 and by more than 30% in the last six months of 2017. In the region Bas-Saint-Laurent, no fewer than 60 people have used the “Medical Aid in Dying” Act since it came into force in June 2016. The number of cases of assisted suicide continue to rise. It almost double in Outaouais in 2017, giving death to 29 people. During the last 6 months 17 end-of-life patients asked for euthanasia. The Commission on End-of-Life Care says it shares concerns about a lack of effort and resources to make quality palliative care accessible in all CHSLDs. Two patients who were refused assisted suicide continue their battle to remove the “end of life” and “reasonably foreseeable natural death” criteria from the Canadian and Quebec laws. Two studies published last fall by Quebec researchers show the important implications regarding conscience rights for health care providers. According to a study published by the CISSS of Laval, 77% of physicians who received a request from a patient for assisted suicide refused to participate in the process citing conscientious objection. According to preliminary data submitted to the CIUSSS Board of Directors of the Estrie-CHUS, an additional 19 people received medical aid to die in 2017 compared to 2016. Article by Aubert Martin on the alarming lack of safeguards and oversight on assisted suicide in Quebec. The Center received 35 % more calls from 2016 to 2017, the number increasing from 2576 to 3483. Véronique Hivon calls on Quebec Justice Minister Stéphanie Vallée to reconsider her decision, and ask the Court of Appeal to clarify the notion of “reasonably foreseeable death” in the federal law on medical assistance in dying. The Quebec government will not ask the courts to clarify the “reasonably foreseeable death concept” contained in the federal law on assisted suicide, as it had called for in March. The Association of Caregivers of the Capitale-Nationale (APACN) unveiled the results of a survey on the perception of 980 caregivers of assisted suicide. Some Quebec patients receive assisted suicide without fulfilling the criteria. For example, two people received euthanasia even tho they were not in end-of-life situation. The Commission on end-of-life care tables its second annual report in the National Assembly. According to the report some patients were euthanaised without being entitled to it. Health minister Gaétan Barrette faces criticism as a growing number of Quebec doctors quit the public system. The Minister of Health and the Minister for Seniors will remain in place following the cabinet reshuffle. The Council for the Protection of the Patients is concerned and calls for a law on long-term care. Activists complain of a growing problem of a lack of mental-health services due to cuts in the Quebec health system. A 2009 study by the Institut de la statistique du Québec estimated that the mental-health needs of 200,000 Quebecers were not being addressed. Today, that figure is probably much higher, say mental-health advocates. Hastily cobbled together government administrative reforms have hit the province’s most vulnerable hard, whether it’s a person waiting for a mammogram, a senior who needs home care or an immigrant trying to get into Quebec. According to the most recent report from the Quebec Ombudsman, home care services have been reduced in Quebec. Several doctors have stopped practicing in residential and long-term care centers (CHSLDs) in recent months, a consequence, according to some professionals, of the health reform of Minister Gaétan Barrette. A woman has filed a complaint with a Quebec agency alleging that her husband was denied antibiotics to treat an infection after doctors determined it was better to let him die because he had cancer. While Quebec and Ottawa are exploring the possibility of expanding medical aid to die, the act is still very controversial for many physicians in the country. According to Irene Demczuk, General Coordinator of the Regroupement des Assistants Naturels du Québec, there is not enough support for caregivers in Quebec. Independent members of the Board of Directors of the McGill University Health Center (MUHC) announced their resignation, deploring Minister Barrette’s refusal to “engage in dialogue” with them. Bail hearing for Michael Cadotte, alleged killer of his wife who suffered from Alzheimer’s. Defense lawyers argue that his actions were carried out “in compassion”. Lawyer Jean-Pierre Ménard is challenging before the courts the cases of two people living with disabilities who were refused the assistance of a physician to kill themselves, requesting the removal of the “reasonably foreseeable death” clause of the federal law as well as the “end of life” requirement in the Quebec law. Quebec is the first province to consider the controversial proposal of euthanasia by advance consent. Some dementia and Alzheimer’s sufferers say they would like the right to consent to doctor-assisted suicide before the disease destroys their ability to walk, talk and think. Gaétan Barrette announces measures designed to fuel the debate on a possible extension of the Act Respecting End-of-life Care, in particular for the incapacitated, but also potentially for people living with chronic diseases. Among other things, he amends the Commission’s mandate on end-of-life care to analyze euthanasia refusals. The Quebec government has cut funding for educational activities that allowed future family physicians to receive specialized mental health training. The lawyer of the Montrealer accused of killing his Alzheimer wife believes that it will be up to society and the court to decide whether it is a murder or an aid to die. Requests for euthanasia have risen in the region of Bas-Saint-Laurent. During the first year of the new law in Quebec, a total of 461 people have died by euthanasia. Full statistics here. An article discussing Living with Dignity’s response to the murder of a woman by her caregiver husband last month. Health Minister Gaetan Barrette opens the door for public debate on extending assisted suicide to patients unable to give consent; such as those with Alzheimers. A man allegedly suffocated his 60-year-old spouse allegedly to end the suffering of his wife who was suffering from advanced stage Alzheimer’s. 27 février 2017 SHOULD QUEBEC’S ALZHEIMER PATIENTS BE ELIGIBLE FOR EUTHANASIA? Quebec is about to embark upon a debate on the involuntary euthanasia of demented elderly. 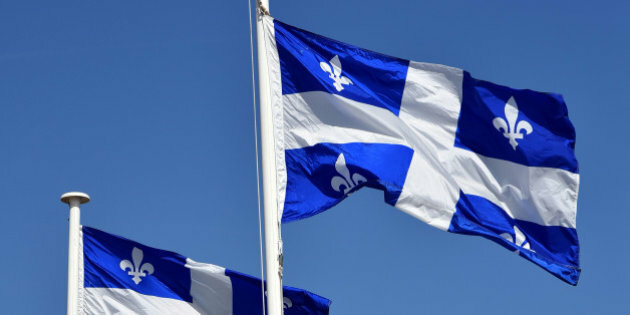 Quebec parliamentarians now want to open a public debate on legalizing euthanasia for persons unable to give informed consent, just over a year after the legalization of euthanasia. Businessman Alexander Taillefer pleads for Quebec to invest more to prevent suicide online as part of the 27th Suicide Prevention Week with the theme “Suicide is not an option“. The APTS on Sunday unveiled the results of a survey of its union members, who work in the Quebec health network as physiotherapists, social workers, medical imaging technologists, special educators and other positions. The consequences for mistreating animals are worse than for mistreating seniors, a well-known Quebec patient’s rights advocate is arguing.Paul Brunet with the Council for the Protection of Patients didn’t mince words Tuesday morning when he spoke before hearings began on Bill 115, the proposed legislation to fight elder abuse.The bill tabled last fall doesn’t go far enough, said Brunet. Euthanasia became legal in Canada in June and by December Quebec bioethicists had already published an article in the Journal of Medical Ethics calling for organ donation after euthanasia. In fact, they were reflecting the positive opinions of the both the Quebec government and Transplant Quebec. The number of cases of euthanasia in Quebec exceeds expectations (again): 84% of augmentation.